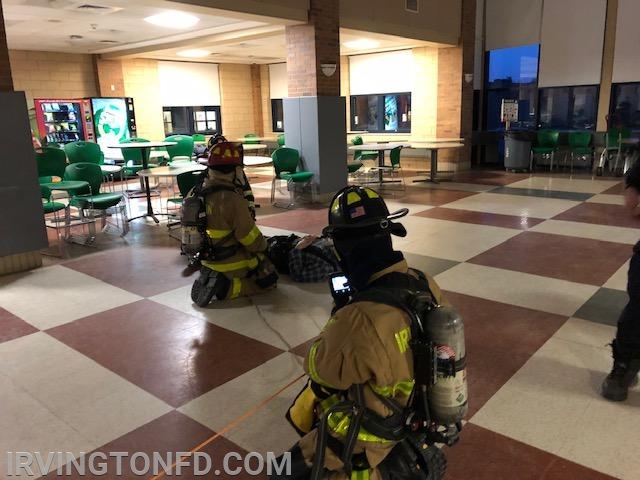 The Irvington Volunteer Fire Department conducted a large area search drill last night at the Irvington High School. 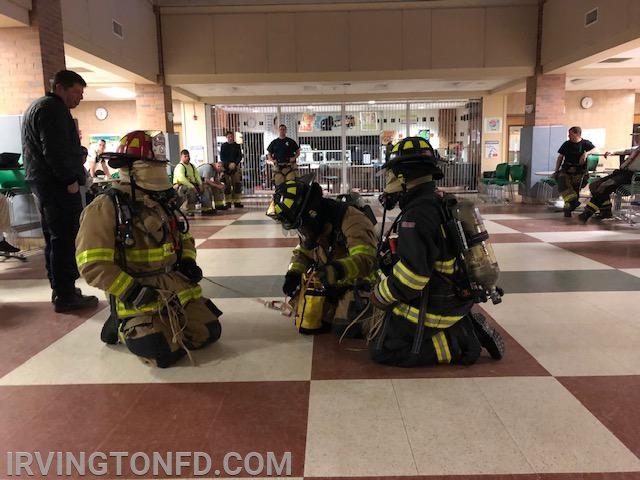 The group utilized the cafeteria to learn different techniques and execute various search patterns. The group also practiced their search skills by finding a downed fire fighter that needed to be rescued. This was a great exercise for a number of our newer members to learn the basics of large area search as well as an excellent way for some of our senior members to learn new techniques and get a refresher on the basics.